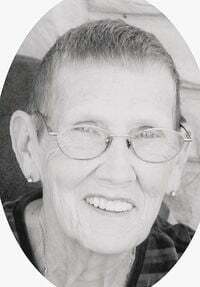 EL DORADO, Kan. Shirley Kay Trower, 74, El Dorado, formerly of Atchison, died Friday, Apr. 5, 2019, at Wesley Medical Center at Wichita, Kansas. She was born Jan. 23, 1945, at Atchison, the daughter of Edward and Gladys Hinson Bennett. She graduated from Atchison High School in 1963. Kay worked for many years at Tonys Pizza Plant in Salina. She later worked at Wal-Mart at El Dorado. She was a member of Carol Baptist Church and the Elks Lodge, both at Atchison. She married Michael E. Trower, May 18, 1974, at Atchison. He died Oct. 18, 2018. Survivors include: four sons, Troy Cloves, Atchison, Tony (Julie) Trower, Topeka, Shawn Trower, El Dorado and Nicholas (Rachel) Trower, Topeka, Kansas; six daughters, Michelle Cloves, Leavenworth, Kansas, Tamara Meis, Atchison, Traci Potts, CA, Angela (Rick) Heuertz, Tecumseh, Rebecca (Scott) Brown, Meriden and Rachelle Rice, McLouth; 18 grandchildren; and 26 great-grandchildren. She was preceded in death by: her parents; and a brother, Douglas Bennett. Mercer Funeral Home in Valley Falls is in charge of arrangements.